Nutrawise is a manufacture of health and beauty supplements. You can find their products in retailers across America and around the world. With an executive team that collectively has more than 200 years in the natural foods and supplement industry, they have the experience to create great products that keep you feeling and performing your best. The founder and CEO is Darren Rude and his goal is to exceed the expectations of his customers. Some of the things that set Nutrawise apart are that they don’t cut corners like many of the supplement companies out there. 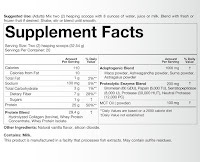 Nutrawise products go beyond the minimum label requirements. They believe in their products so much that every member of the company uses them as well. That probably wouldn’t be the case if the products contained sketchy ingredients. 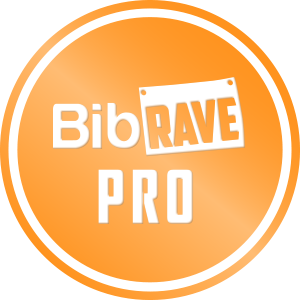 The mission at Nutrawise is to build a company that is continuously working on making the world a better place. Part of that mission includes giving back a portion of their proceeds to help children around the corner, and around the world. 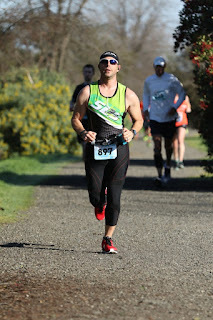 I am testing out several products from Youtheory (a subsidiary of Nutrawise). Today I will just be reviewing the Men’s Collagen Protein Shake. What makes this different from many of the other protein shakes out there is that it contains Collagen. Collagen is a major structural protein found in skin, joints, bones, blood vessels, and connective tissues. As we get older, collagen naturally breaks down, which leads to early signs of aging. By adding Collagen to your diet, you help replenish the body’s lost supply of this important protein. 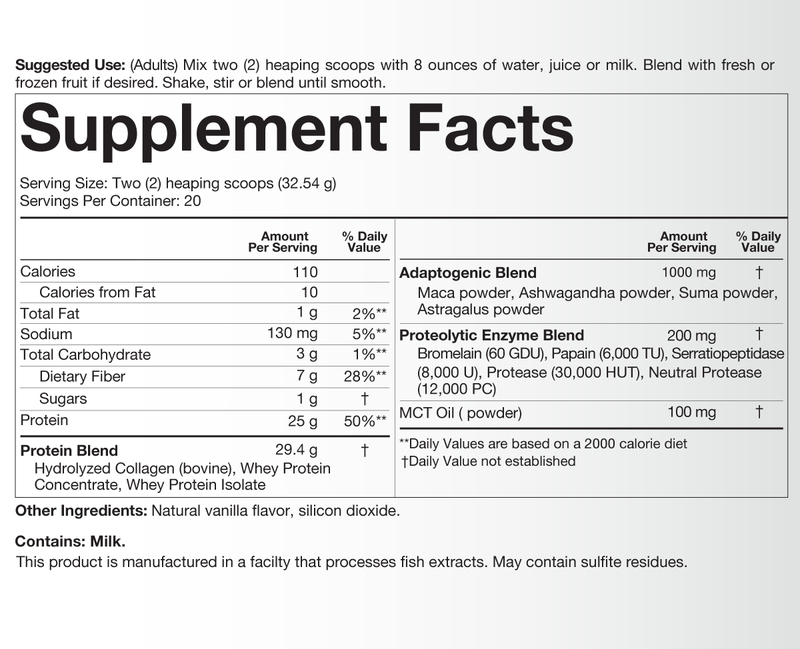 What you get out of Men’s Collagen Protein Shake is 25 grams of protein (12.5 grams of collagen and 12.5 grams of whey). 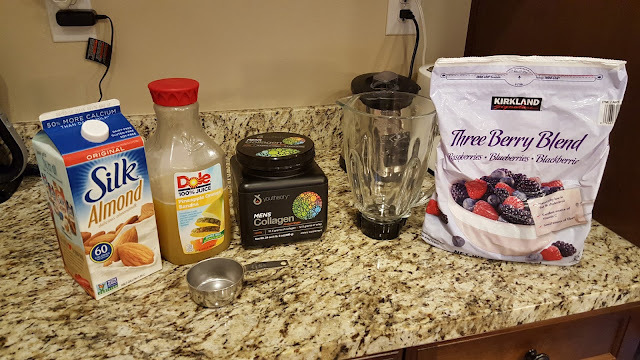 This is a great post-workout shake that is also infused with tonic botanicals, broad spectrum enzymes, and quick-energy MCT oil. Some protein shakes out there contain 250-300 calories just to get 20 grams of protein. 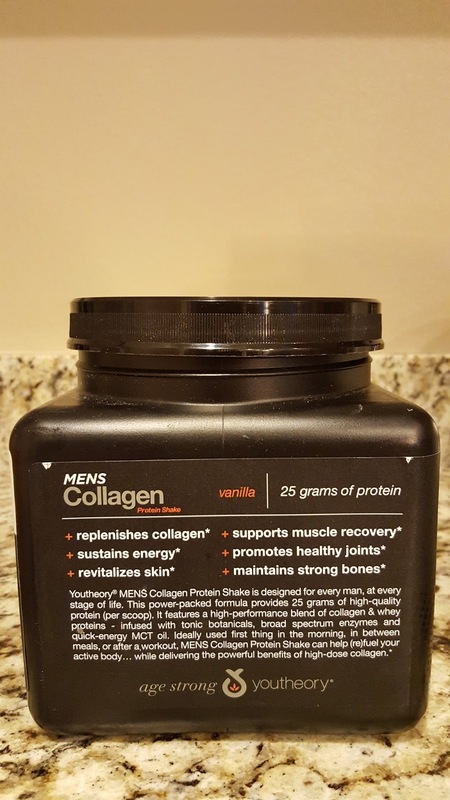 The Men’s Collagen Protein Shake is only 110 calories for 25 grams and it tastes great. You get 20 servings per tub. This makes about 24 ounces of smoothie and tastes great (although the taste of the beet juice powder did take a few days to get used to). I love starting the day with a nice smoothie. 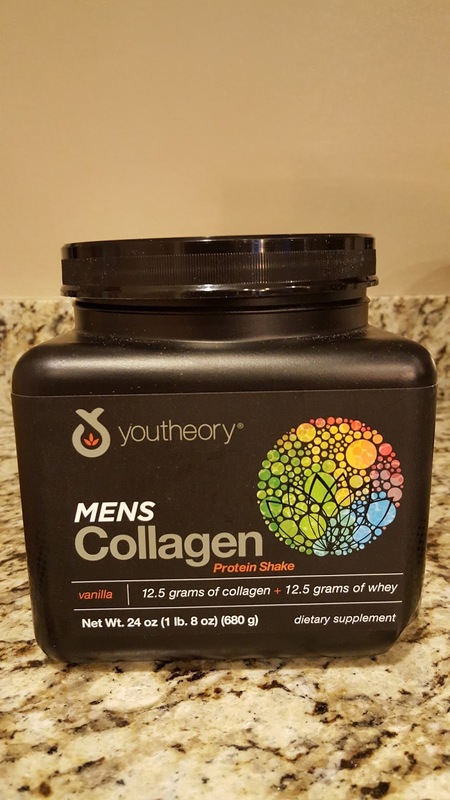 I am a huge fan of the Youtheory Men’s Collagen Protein Shake. I love that you get 25 grams of protein for only 110 calories and that it tastes great in smoothies. It has become a huge part of my daily routine and has helped me to stay in the best shape of my life. You can find Youtheory products online and at retail stores everywhere (click here for locations). I will continue to purchase this protein shake. Look for my review of other Youtheory products in the next few weeks. You can get it for $39.99 online at the Vitamin World. Get yours today and let me know what you think.